Chinese Government orders 2 million BlackBerry Q10s? | BlackBerry Blast! BlackBerry Blast! > News > Chinese Government orders 2 million BlackBerry Q10s? Chinese Government orders 2 million BlackBerry Q10s? 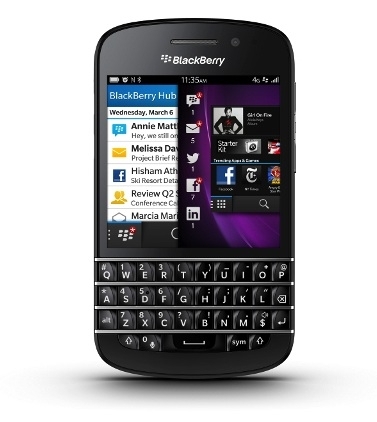 If this rumor is true, BlackBerry has just received a gigantic order for its Q10 QWERTY smartphone. A message posted on Stockhouse claims the Chinese Government has placed an order for 2 milliion Q10s. The Chinese Bureau of Economic and Cultural Development has signed an intent to purchase 2 million Blackberry Q10 handsets according to filials with FYD Enterprises in Macau. FYD (Fugyudum) Enterprises owns and operates a chain of for-profit educational faculties in nearby Guangdong and Yudumtu provinces as part of the mainland government's recent econonomic liberalization initiatives in specified zones within these 2 provinces. A source close to the company says the Q10's will be distributed to the Faculties of Mobile Hacking and Cyber Warfare. BlackBerry recently reported selling 1 million BB10 phones so if this rumor is true they will immediately double that number. Things are slowly starting to look up for BlackBerry!